Welcome! You’re about to join a worldwide movement that’s shaping the future of how we work and live. 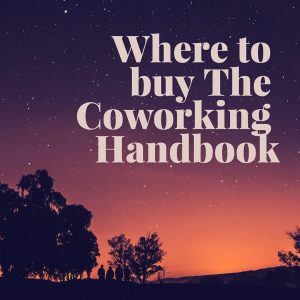 Check the reviews to see how The Coworking Handbook has helped other space operators. In “The Coworking Handbook: The Guide for Owners and Operators,” you’ll discover everything you need to know about opening, managing and growing a successful coworking space. Avoid the common pitfalls of this exciting new industry and learn what really works around the world from experts and founders of the coworking movement. More than just a thinker’s guide, this handbook is full of actionable ideas, including bonus checklists, spreadsheets, links to online resources and more, helping you jump right into building your ideal space and thriving community. Become a part of the movement that’s re-shaping our relationship with work into one that’s sustainable, creative and healthy—and learn how to make a profit along the way.